An approaching cold front will soon bring an end to our weather pattern of light winds and dry conditions. 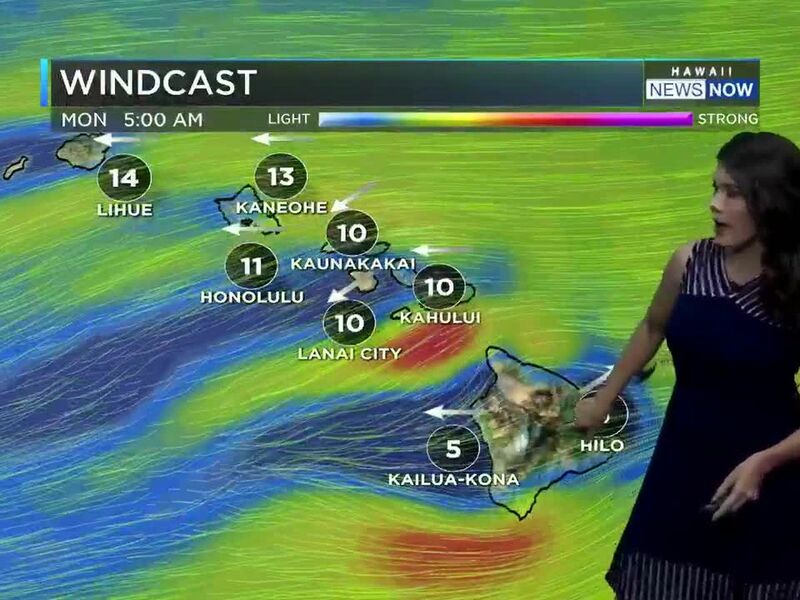 The front is forecast to reach Kauai Thursday and move across Oahu and Maui County Thursday night before stalling over the Big Island Friday. The front will bring widespread showers, while a trough aloft will increase the chance of locally heavy showers and thunderstorms, along with snow for the summits of Mauna Kea and Mauna Loa on the Big Island. 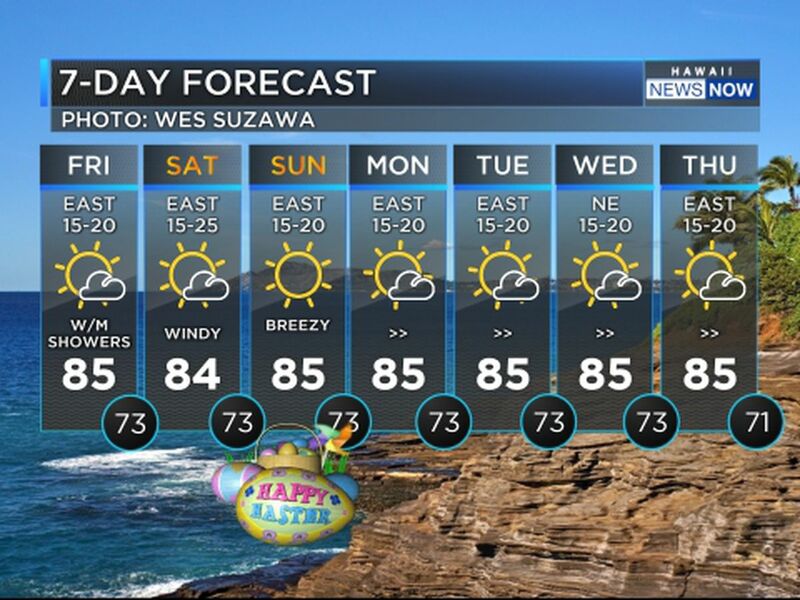 East-northeast trade winds and drier weather will follow for the weekend. A high surf warning will remain posted overnight for the north and west shores of Kauai, Niihau, Oahu and Molokai and the north shores of Maui, with a high surf advisory for the west shores of the Big Island. The warning could be extended depending on how long it takes for the wave heights to decline. A small craft advisory also remains up overnight for most Hawaiian coastal waters. 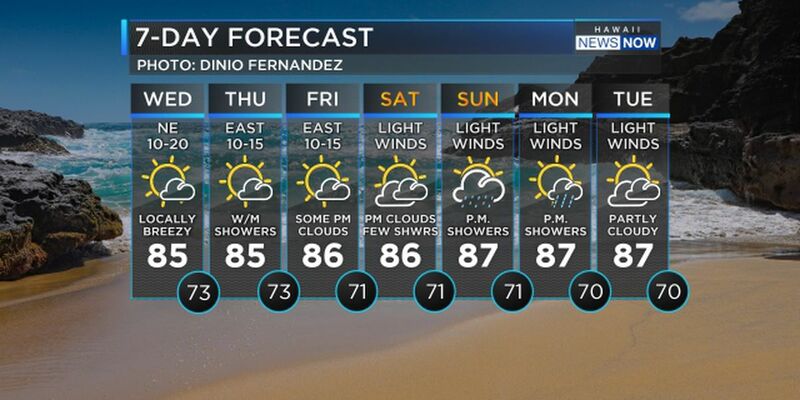 There could be more showers for the latter part of the weekend.